Everything in my Redbubble shop is 20% with the code GET20NOW – jump on it! This piece was so satisfying and cathartic to work on! A meditation on metamorphosis, I wanted to depict transformation and the juxtaposition of blooming life with equally vibrant decay. This is also the first painting (that wasn’t a commission) that I sold before completion! You can find prints, apparel, stationary and home goods with this design here. I was in a pastel goth mood when I colored this charming little skull bouquet – I think it looks lovely as a journal or throw pillow! You can find it on my redbubble shop as stationary, prints, apparel, and home goods. It feels so great to wrap up this fun project! If you know me, you know I’m a proud cat lady, so getting to spend so much time studying the angles of these kitties’ faces was a bit of a treat. If you need to adopt these kitty pics, you can find them at my Redbubble shop – enjoy! Just added this killer kitty to my Redbubble shop! This pet portrait was a commission that other folks loved so much that the client gave me permission to make it publicly available for sale. The prompt for this week’s #lifeformdrawingclub was PSYCHEDELIC, and I cranked out this skull-splitter in two sessions totaling 11 hours of drawing time. My hand hurts. 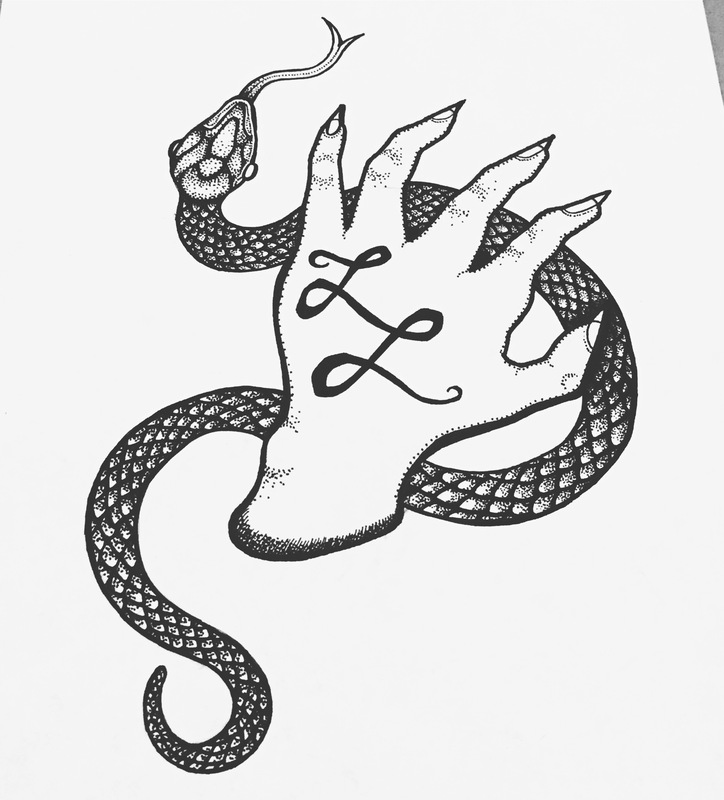 You can get copies and merch of this bad boy in my Redbubble shop, it looks particularly bitchin’ on pillows, totes, and dresses. Folks on Instagram seemed quite taken by this design, so I cleaned it up and added it to my Redbubble shop. The response to this cosmic bumblebee has been so positive on my Instagram that I immediately scanned the lil lady, cleaned her up, and loaded her onto Redbubble. I think she looks particularly attractive as a hoodie. 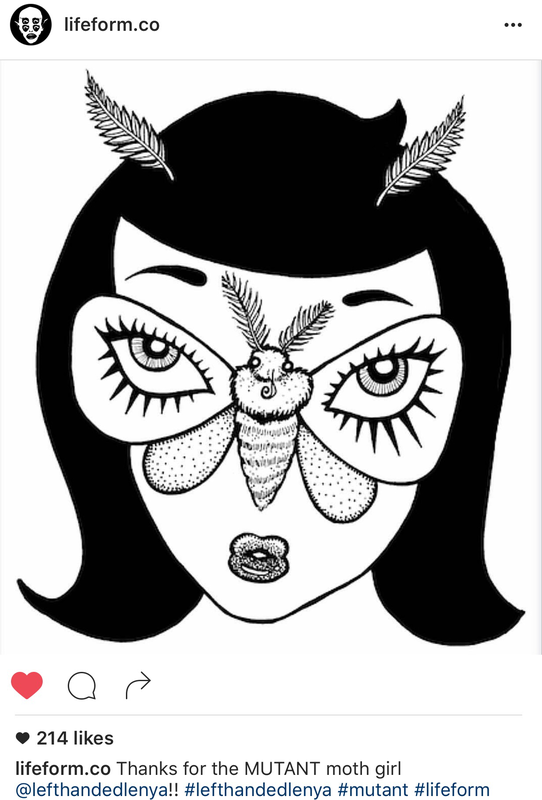 Inspired by the Lifeform Drawing Club‘s “Mutant” prompt, this moth lady is revved up and ready to pollinate. You can capture her at my Redbubble shop, where her print is just waiting to be pinned and displayed. UPDATE: thanks to Lifeform for sharing this Lepidopteran Lady on their Instagram!